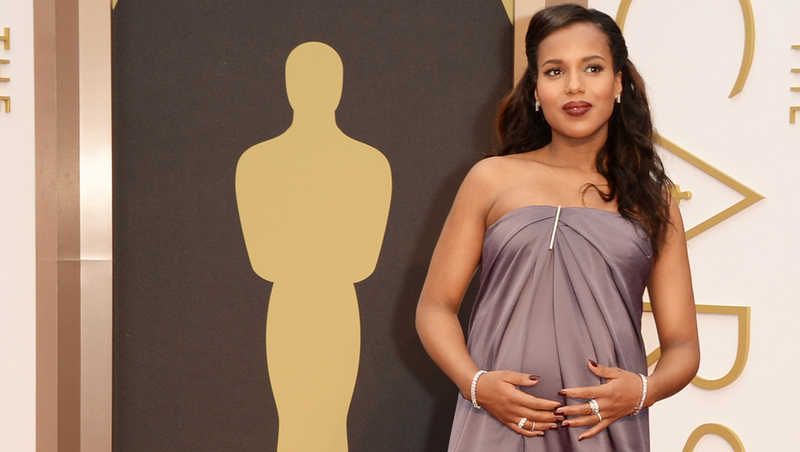 It's a girl for "Scandal" star Kerry Washington. The actress has given birth to her first child with husband Nnamdi Asomugha, People confirmed Friday. According to TMZ, the baby girl, named Isabelle Amarachi Asomugha, was born April 21 in Los Angeles. Washington and Asomugha, a former quarterback for the San Francisco 49ers, quietly tied the knot in July. Reports first surfaced in October that the 37-year-old star was expecting, and soon she was bringing her stylishly-dressed baby bump on red carpets (while also covering it up to play the not-pregnant Olivia Pope on "Scandal"). "Scandal" finished airing its third season last month.